While playing games on your Android device, you might of think about an idea- What if I never get knocked down or never get out? Moreover, you want to play with the protocols of the brand and Android to stretch the phone’s reach in many aspects. Rooting is just the thing for you. There are many people in this world who root their Android devices to unlock some features of their phone and play with them. Rooting has its disadvantages too like no more access to apps like Netflix and Pokemon Go but you can grab apk files. You can find some of best antivirus online at discounted rates with Amazon Offers today. Not only this, after rooting the device you can say bye-bye to bloatwares, can play with the speed of your phone and more. But, how to get into the nitty-gritty of rooting your smartphone? So, here we have listed some Android root apps which can help in rooting your device. Adblock Plus is one of the widely used Android rooting application available for free and is open source too. The app helps in getting rid of the apps from your Android smartphone or tablet. Easy to play with and customizable, this app is not available on Google Play Store but its apk files are easily available. This rooting app helps in moving apps to the microSD card by undergoing the process of rooting. Just like any other app-to-SD app, this will help in moving APK, odex, dex, lib, internal and external data to the SD card. Not only this, the package of this app features many other things like Busybox installer, app remover, adaptable storage support, terminal emulator and more tools. Free of cost, Apps2SD can be easily find on Google Play Store. Magisk is a fun rooting app which can hide the root. It means while your device is rooted, the system is still unable to recognize that. Though when rooted you are unable to access apps like Netflix, with this app you can easily do that as the device is unaware of any root. Moreover, there are many more functions of this app which is unavailable at Play Store. Although, you can get the apk file of it at XDA Developers. This simple and useful Android rooting app allows the device with its functionalities like boot to recovery and boot to boot ladder. This dynamic app also packs “Download Mode” for devices of Samsung and also the fast boot mode in many devices. Quick Reboot is a very simple yet useful app which will cost you nothing and can easily be grabbed on Google Play Store. This new app in the market of Android rooting apps has crazy features loaded into it. Those features include recovery flashes, kernel backup, IMG flashing, logging and more. Rashr is free of cost app which is an open source too. So, if you are looking for a flashing app, Rashr is the one you are looking for hands down. To control the background services like preventing any app to run in the background, keep halt on rogue apps while the screen is off, just go for Servicely app. 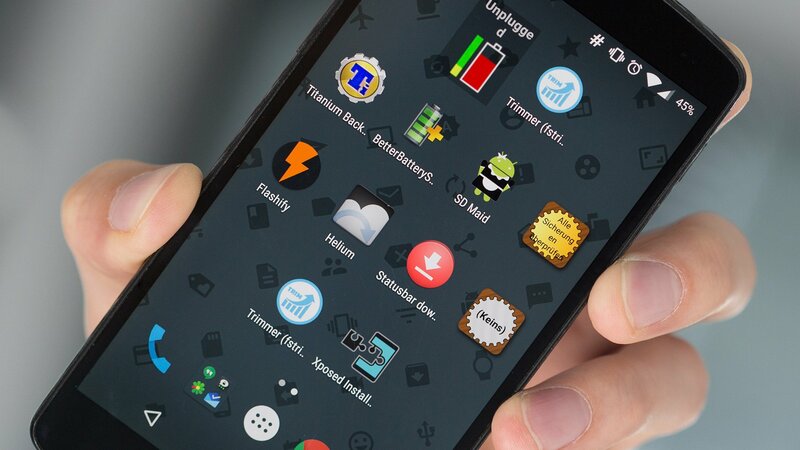 This rooting app helps in increasing the smartphone’s performance and battery too. Servicely is available on Google Play Store costing zero bucks. Although, a paid version of $3.49 is also available which will surely give you extra benefits than the zero bucks one. The Substratum is a theming engine for Android which is not a powerful tool but is somewhat design and UI related tool. The app majorly targets stock Android devices and works excellently there. Just find the themes online at Substratum and play with the system’s UI. Though some themes will be free, but some will cost money too. This Android rooting tool is a must-have tool if you are planning to root your device or have rooted it. To uninstall bloatwares, freeze apps or backing them up, Titanium Backup is a perfect choice. Enjoy buying latest world’s best antivirus online with Flipkart Offers. In the devices which are not stock Android, there are heavy chances of unnecessary bloatwares, so this app can come in handy there to save the onboard storage. Available on Google Play Store, Titanium Backup is both in its free version and a paid version of $5.99.